A Dunstable couple have had to be put up in a hotel after rats invaded their council flat. Gemma Hill says she has been battling for seven months to get the rats removed from her flat in Flint Court, on Dunstable’s High Street. She says the rats have been damaging beams and insulation in her loft and have been nesting underneath the bath. “They keep me up at night, all we can hear is them scratching,” she said. “The rats are damaging the property and getting into the wall cavities. They have been chewing the beams in the loft. Five of the six flats on the block are owned by Central Bedfordshire Council, and Gemma said everyone has been affected. The support worker, who has also involved her local MP Andrew Selous to try to get action from CBC, said pest control had been out twice to put bait down but had not investigated where the rats were coming from and it had not solved the problem. Gemma, 26, has even caught four of the rats herself, but after five years at the flat she says she now wants to move out because she fears even if the problem is sorted, the rats will come back. After the Dunstable Gazette got in touch with the council, Gemma was offered emergency accommodation in a hotel in Luton while contractors worked to deal with the problem. “It’s pushing me to breaking point, I’m now at the point where I just can’t deal with it anymore,” she said. 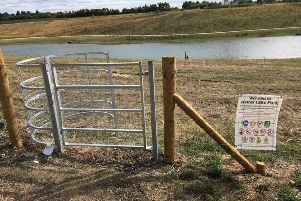 A spokesman for Central Bedfordshire Council said: “As the problem is in a communal space, the council takes responsibility for organising and paying for this work. Sandhills residents rejoice as Astral Lake Park finally opens tomorrow! 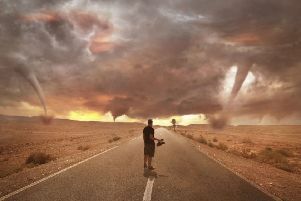 Leighton Buzzard photographer creates super sandstorm shot! “We investigated this issue when the tenant got in touch to report it and did an initial survey on 20 June. Since then we have issued several orders to our pest control contractors to undertake a programme of work to sort the problem out. The latest instruction, on 1 August, was to seal all holes into the bathroom to allow the next round of baiting to take place. We’re just waiting for confirmation that that work has taken place.